Gold Avenue Palladium price chart shows real-time data for Palladium prices today and the historical price of Palladium per ounce. Palladium prices may be viewed for any date up to a year by hovering your mouse over the chart to view spot Palladium prices for each day. All Precious Metals play an important role in the world market. Recently, Precious Metals like Platinum and Palladium have become very popular investment options for investors and collectors alike. There is a wide range of high-quality bars and coins available in our Palladium collection at Gold Avenue. 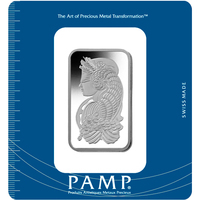 When buying Palladium bars or coins, you will be paying lower premium prices. It is a much cheaper Precious Metal compared to others. However, Palladium is a beautiful Precious Metal with a white-gold color that will never lose its brilliance. It is a popular Precious Metal that is used by many different industries. Currently, it is increasing in demand, which apparently influences its supply rate than ever. This is your chance to purchase this interesting Precious Metal. Your Gold Avenue Investment Portfolio will look better than ever after investing in Palladium. When buying Palladium coins, you will be paying lower premium prices. It is a much cheaper Precious Metal compared to others. Palladium is a beautiful white gold precious metal that will never lose its brilliance. Palladium is a popular Precious Metal that is used by many different industries. Currently, its increase in demand has influenced its supply than ever. This is your chance to purchase this interesting Precious Metal. Your Gold Avenue Investment Portfolio will look better than ever after investing in Palladium. Palladium is currently a very demanding precious metal. It is used in several different industries, such as the medical industry, the engineering industry, tech, and the jewelry industry. This demonstrates that not only is Palladium in demand, but it also appears limited. This is why at Gold Avenue we want to encourage you to step into this fast-paced environment, as this is the best time to invest in Palladium. Compared to other precious metals on the market, Palladium is relatively cheaper, meaning you will be able to purchase a larger amount, and those on a modest budget will be able to participate in the investment opportunities available surrounding Palladium. At Gold Avenue, we sell a wonderful array of the most popular Palladium coins in the world. Palladium coins are recognized for their beauty and diversity. It is a smart investment in the future. Palladium plays a very important role in the technology and automotive industry, meaning that it will only continue to increase in popularity and value. At the moment, there is a high demand for Palladium.